1959. 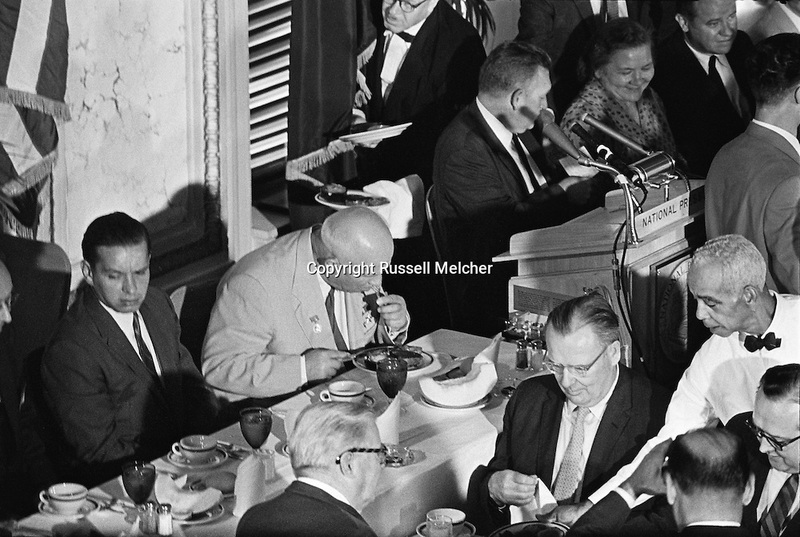 Nikita Khrushchev eating, totally concentrated on his food in the Washington D.C. Press Club. 1959. Nikita Khrouchtchev mange avec grande concentration lors d'un déjeuner au Club de la Presse de Washington DC .